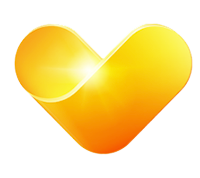 There are big changes happening at Thomas Cook airlines. We’ve merged four brands into one to create one of the biggest airlines in Europe. Which means bigger and better career opportunities for our Cabin Crew, Pilots and Ground Staff. We’re investing heavily, to both refurbish our existing planes, and invest in new models, improving the in-flight experience for our customers and our people. The new cabin design was developed with experts from all our markets to be supremely comfortable, modern and clean. We're now flying to more and more destinations, which means more variety and travel experiences for you. Of course, one thing will stay exactly the same. As a trusted brand with over 175 years’ experience, we’re renowned for treating our people well. Good working conditions, great benefits and a friendly, inclusive culture are all on offer. We really will take good care of you.